La Camera overlooks the Yarra River on Melbourne’s Southbank. Located within Southgate Shopping Centre – a labyrinth of escalators will eventually lead you there. Hopefully. Seated quickly outside on the long balcony overlooking the Yarra, it was the perfect sunny afternoon for a team lunch. La Camera offers a decent express lunch option, 2 courses and a glass of house wine for $30. I’m not sure you could find better value for the scenic setting. We ordered bottles of Rosé to share – it was a rare sunny day, and so a crisp Rosé couldn’t be overlooked. I ordered the calamari to start with, followed by the rigatoni con prosciutto. 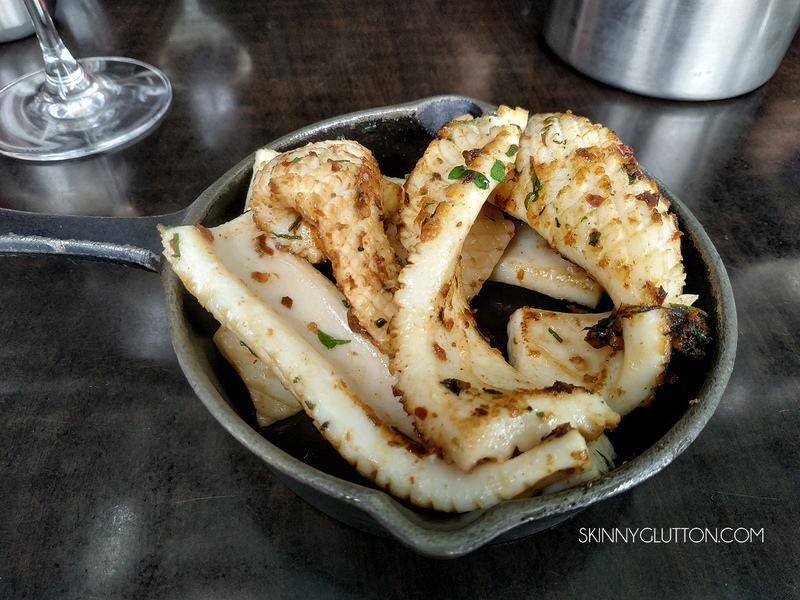 The calamari was plump, lightly peppered and there was more of it than I was expecting. Bites between sips of the rosé wine were heavenly. 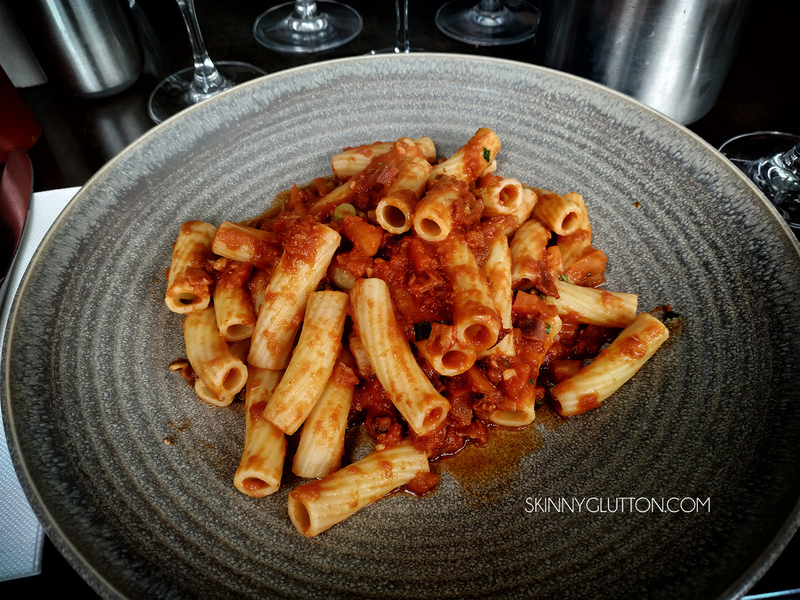 The rigatoni pasta was delightfully cooked al dente and the sauce was a deep, tomato red – just how I like it. It was a little light on the prosciutto element, however, it was up there with the best pasta slingers around town. The service was friendly, albeit slightly scattered at times. Even though it was a Monday afternoon, the balcony was bustling with theatre goers, tourists and locals alike. Always a good sign that a places patronage isn’t exclusively made up of just a single group. I’d definitely recommend having a lazy lunch at La Camera overlooking the river. Perhaps I have been spoiled by Melbourne’s amazing offerings but I was in the mood for “something different” and that “something” was becoming harder and harder to find. Years of hanging out in ACDC lane between bands at Cherry Bar had me wondering about the place further down the laneway, Pastuso, which always seemed to have an ebb of flow of people coming and going. I had never eaten Peruvian – so I was very curious. A quick glance at their menu and I was instantly intrigued. Pastuso devotes a whole section to ceviche – I was won over. Inside, the interior of Pastuso is chic, classic with bursts of colour. The waiter was friendly and knew how to help us navigate the menu with expert finesse. 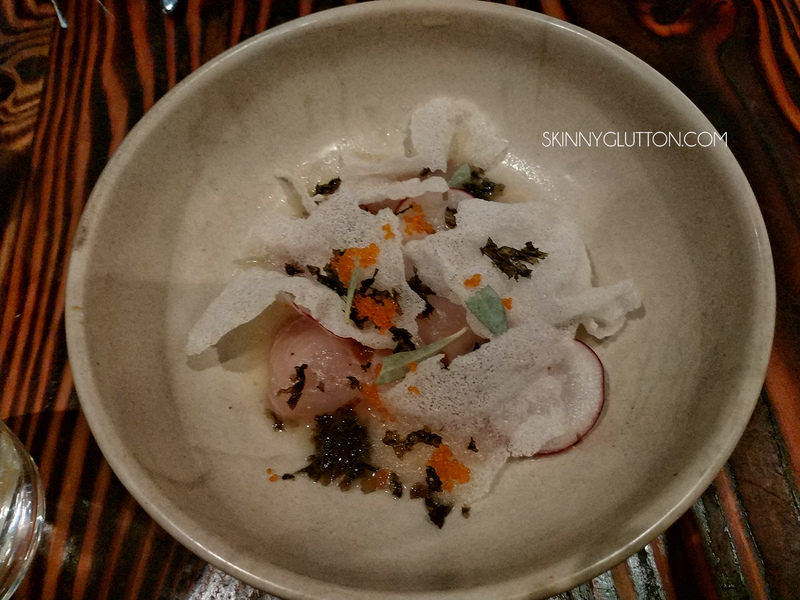 The kingfish ceviche with aji mirasol and miso dressing, crispy nori seaweed and flying fish roe was first to arrive. A pleasant palate wetter for what was to come. The kingfish was light, juicy and the light rice crackers added a textual delight to the cured kingfish. 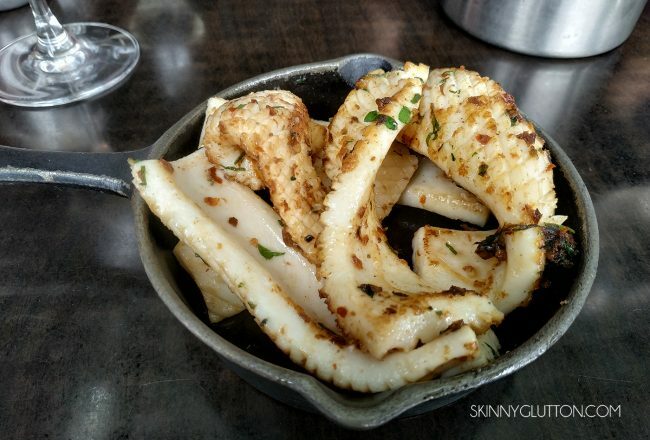 We ended up ordering 2 dishes from the ceviche menu – it was too hard to stop at the kingfish. The red prawn ceviche was creamy, zesty and light. The strips of pickled seaweed added a salty vinegar to the dish which was a great balance. I’d never tried Alpaca before – in fact, I hadn’t really considered alpaca could be used in a dish. So of course we ordered the alpaca croquette just to feed my desire to try something new. 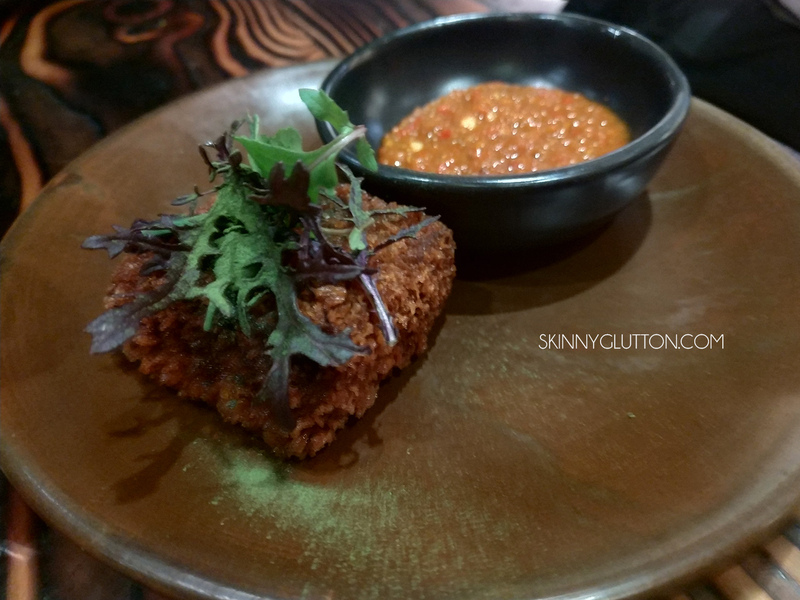 The croquette was a crisp, deep-fried square, containing pulled, smoked alpaca meat. Reminiscent of pulled, spoked pork with a whiff of gaminess. 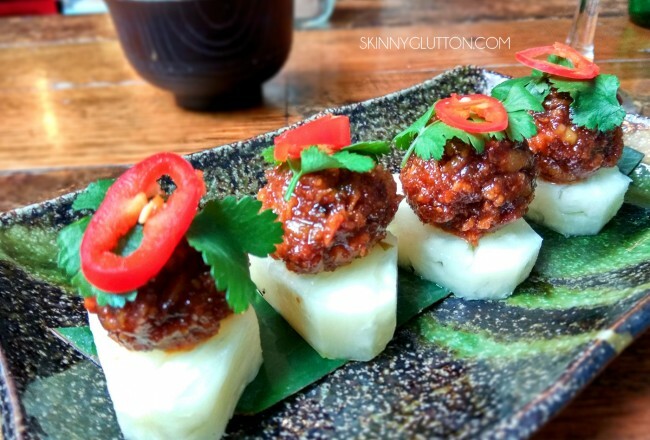 Scooped up with the spicy XYZ sauce rounded out the dish. 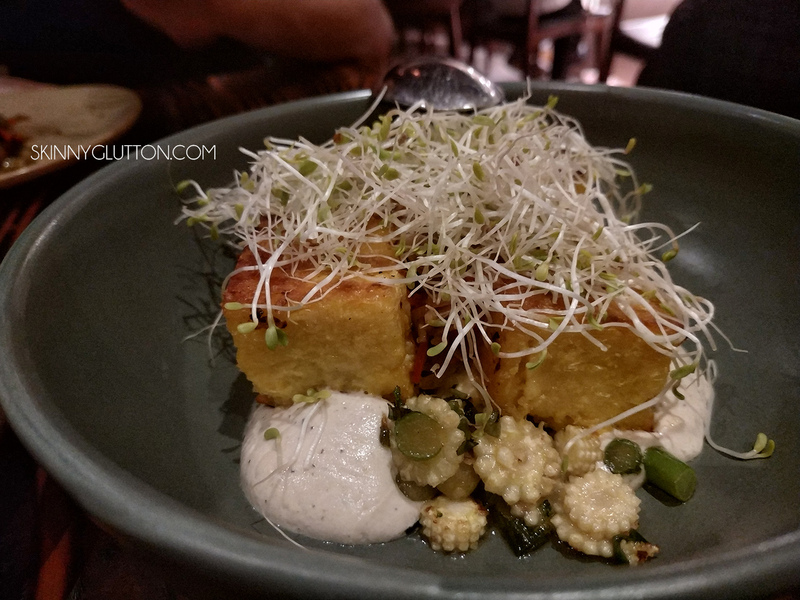 The corn bread with whipped feta was the unexpected star dish. 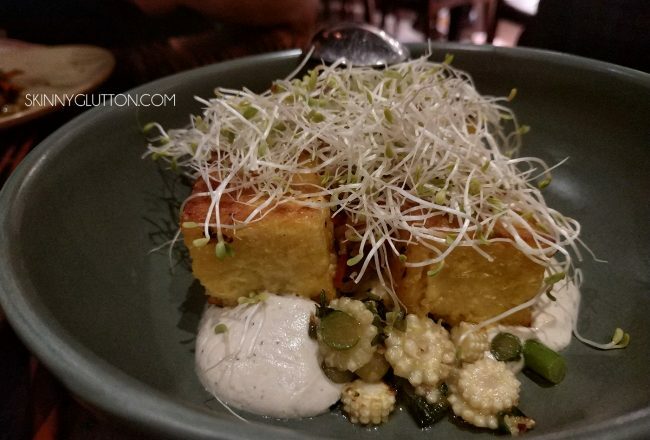 The zesty topping, creamier than creamy feta and spongy corn bread was amazing and would be the perfect accompaniment to any dish. Those who know me well know that I am never one to turn down fried chicken. Ever. The fried chicken starter featured four lightly battered but super crisp boneless pieces of chicken on top of a lima bean and aji amarillo puree, topped with a mild-spicy salsa. The lima bean puree was smooth and silky. This was a solid dish but unfortunately didn’t have the wow factor compared to the other dishes we had ordered so far. 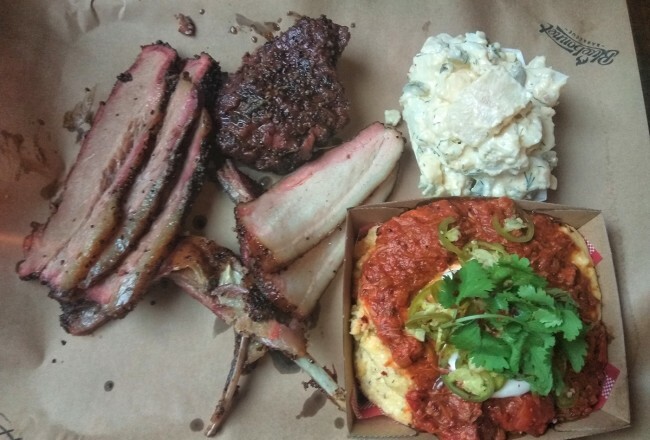 The grilled pork was the last to arrive, from the Fuegos menu. 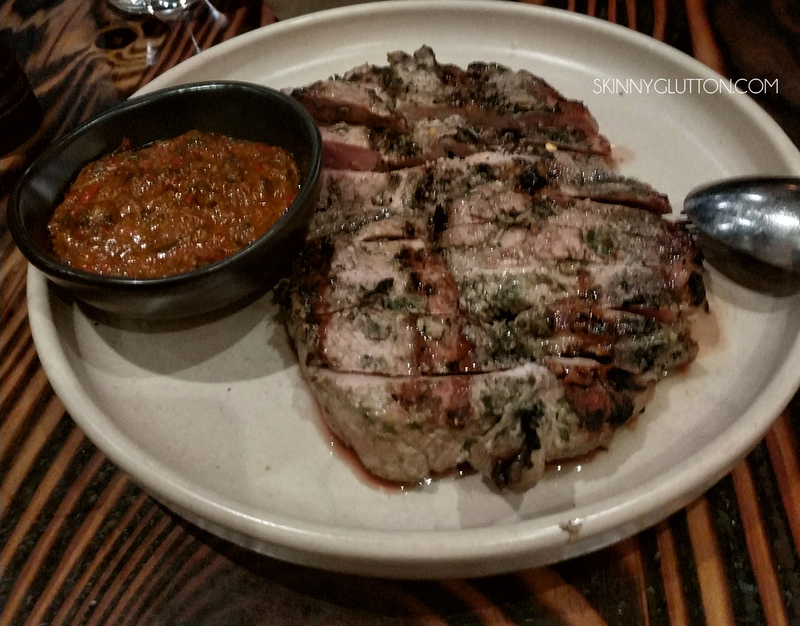 Sliced into succulent slices, this was melty, grilled pork executed to the finest degree. I think that all diners should at least try an item from this menu and I couldn’t help but ogle the smoked chicken that was plonked on the table next to us. Our dinner at Pastuso was such a fabulous experience. The service was great, knowledgeable but not at all pretentious. The menu was unique and there wasn’t a menu item I didn’t want to try which is always a sign that I need to return to sample the other offerings. 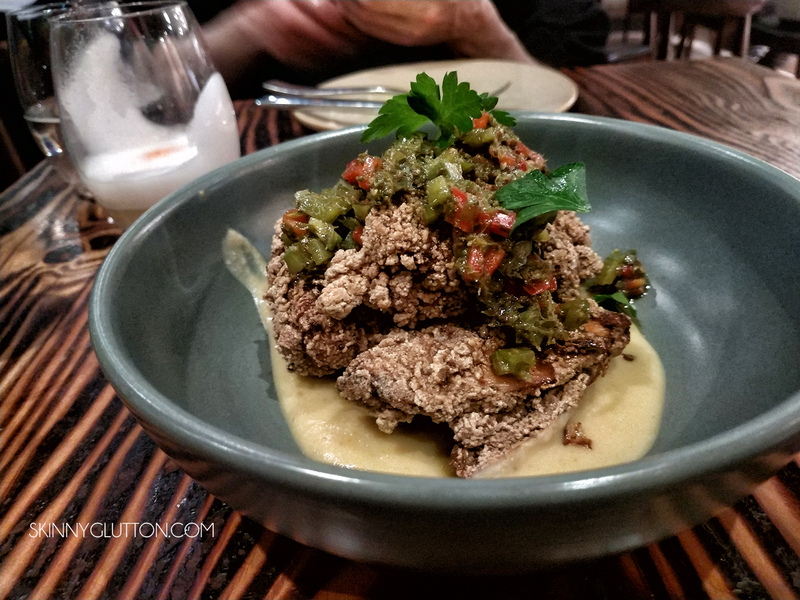 If you’re in the mood for something that is intimate, interesting and good for a dinner spent over a few hours, then I would highly recommend adding Pastuso to the wish list. El Mirage is one of those places that when walking past you blink and you miss it. Set back from busy Lygon st, inside El Mirage is adorned with warm wood and small details that impress a homely feel. Out the front are scatterings of tables which is great when dining with a canine companion or if you’re like me, watching the world go past. 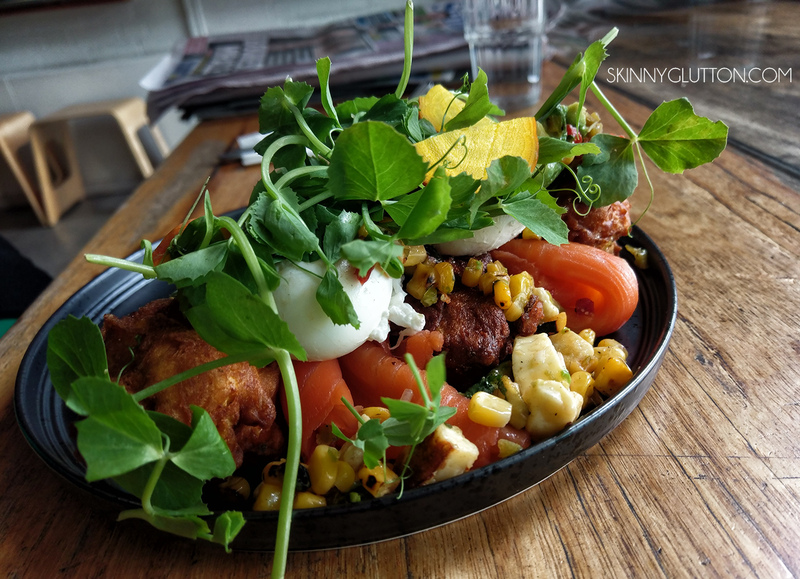 I ordered the Jalapeno Corn Fritters with salmon, which arrived as three, plump, crispy fritters with 2 goopey eggs waiting to be pried open. This dish checked all of my boxes; jubes of haloumi, charred corn, corriander puree, smokey salmon and eggs poached to perfection. 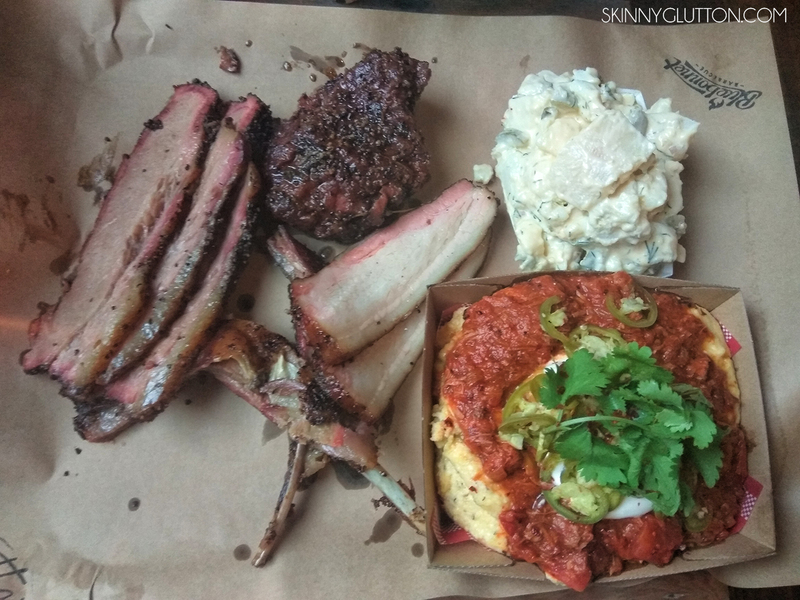 It was a well-rounded, substantial dish but didn’t leave me feeling heavy. Perhaps my only gripe was the lack of jalapeno spice given the name of the dish. Next up, the drool-worthy Mac & Cheese Benny. 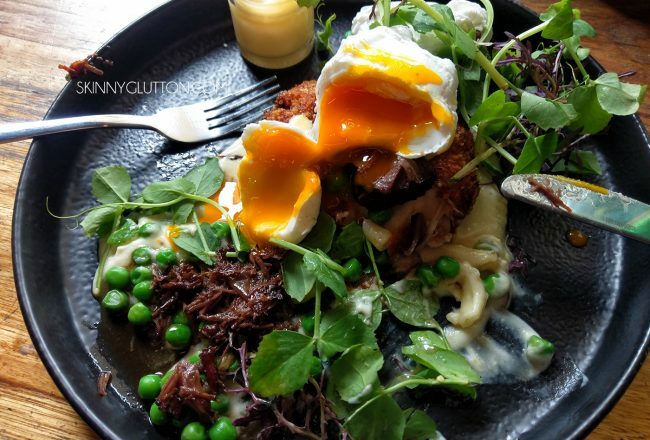 This was one of the more inspired brunch dishes I’ve had the pleasure of eating in Melbourne. 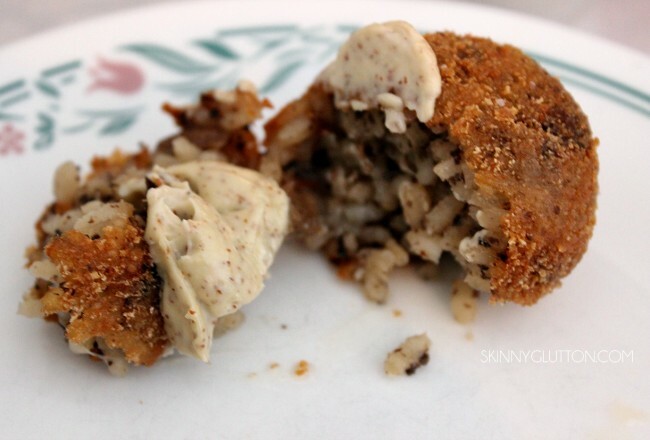 A mac and cheese croquette (yes! ), covered in pulled, juicy beef atop of a truffle cauliflower puree made for a delightful flavour combination. 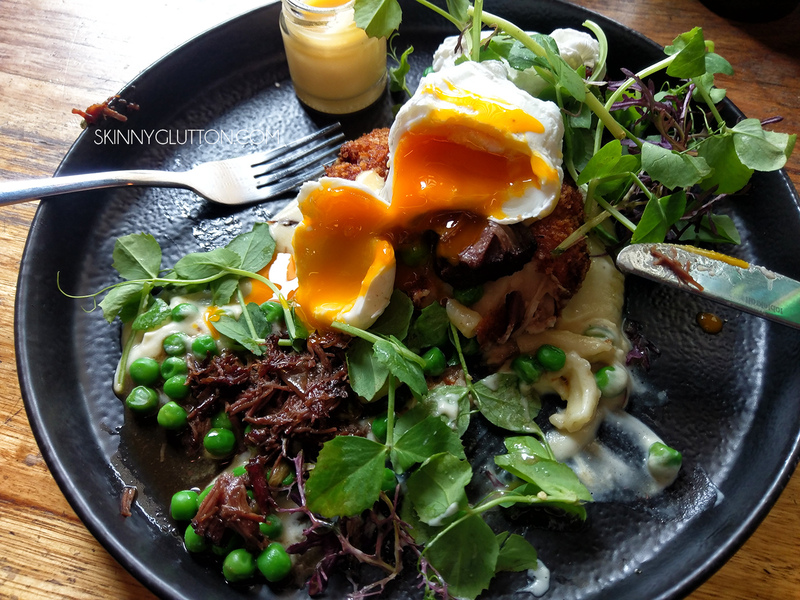 At first, the pungent flavour of truffle dominated the dish, but once the gooey egg was mingled with the other components and the decadent hollandaise sauce served on the side, the dish really shined. The pulled beef fell-apart in each mouthful, in juicy surrender. I really enjoyed brunching at El Mirage. 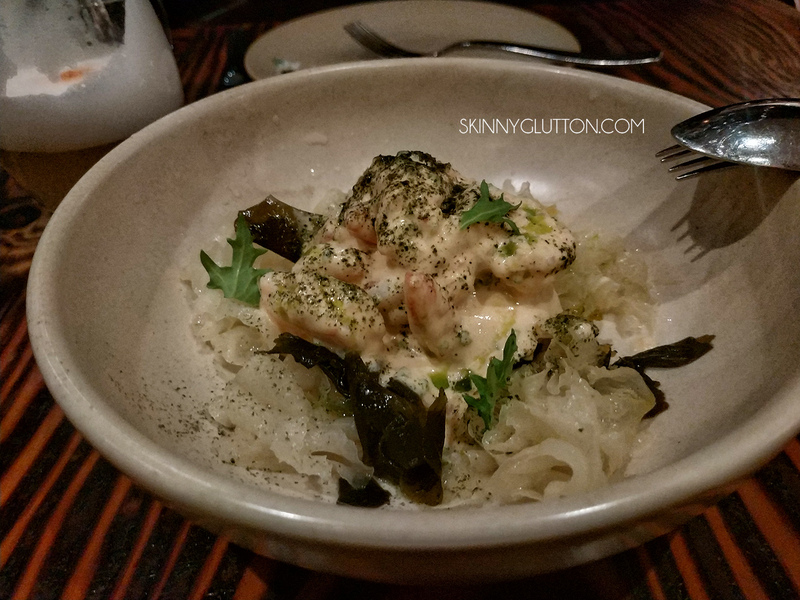 The service was friendly and the menu was a refreshing break from the onslaught of smoothie bowls that seem to be dominating the scene. 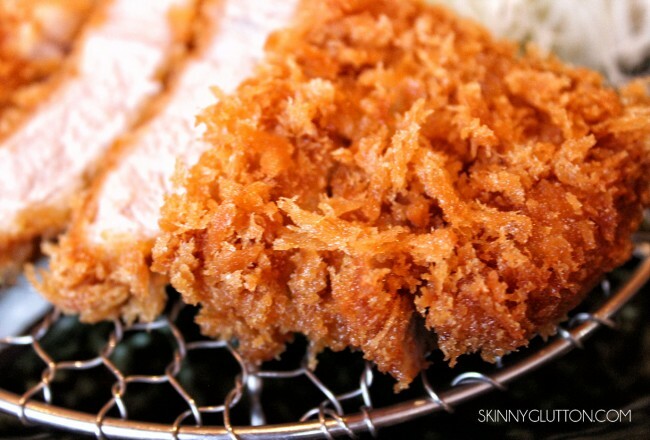 I will be returning for the Mac & Cheese croquette…this time in stretchy pants. 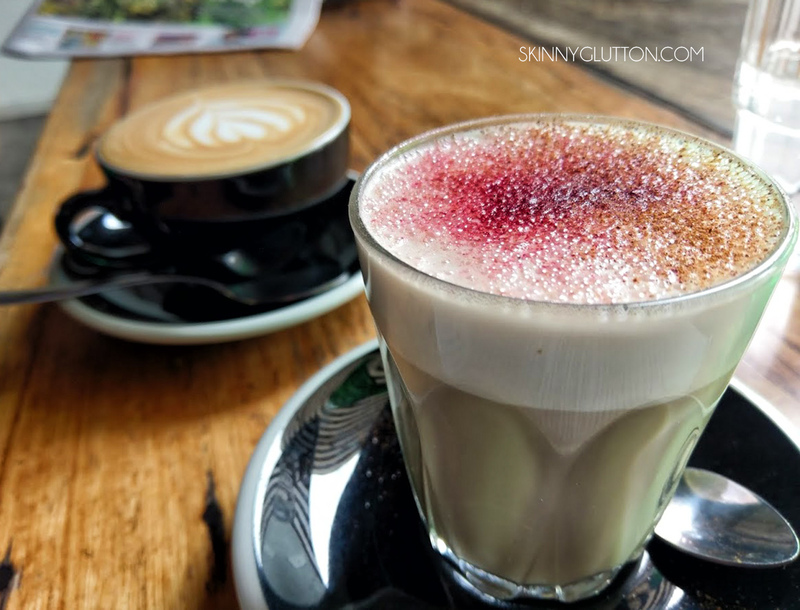 Le Jolie is a charming café located in Pascoe Vale, right next to Pascoe Vale train station. 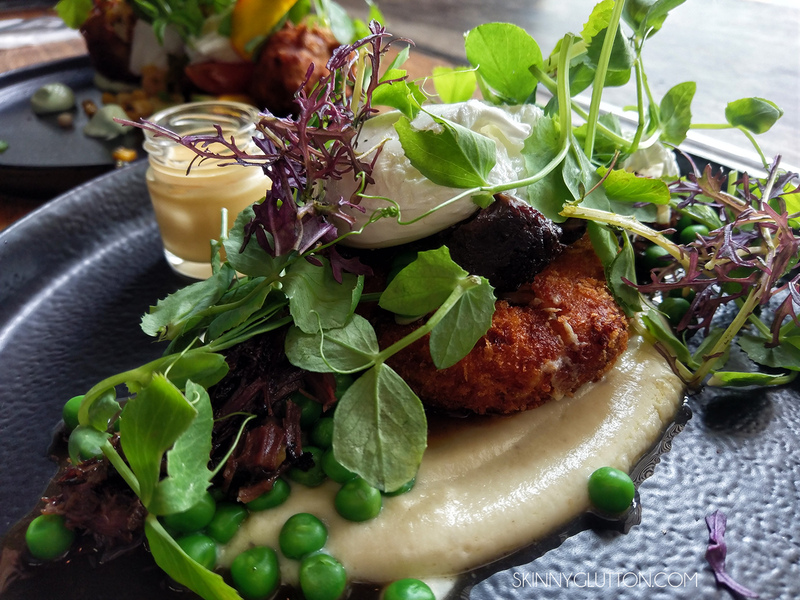 Le Jolie’s menu gives a positive nod to French delights, featuring sweet and savoury crepes, and for those who revel in cheesy, calorific delights, there’s the Croque Monsieur and Croque Madame. 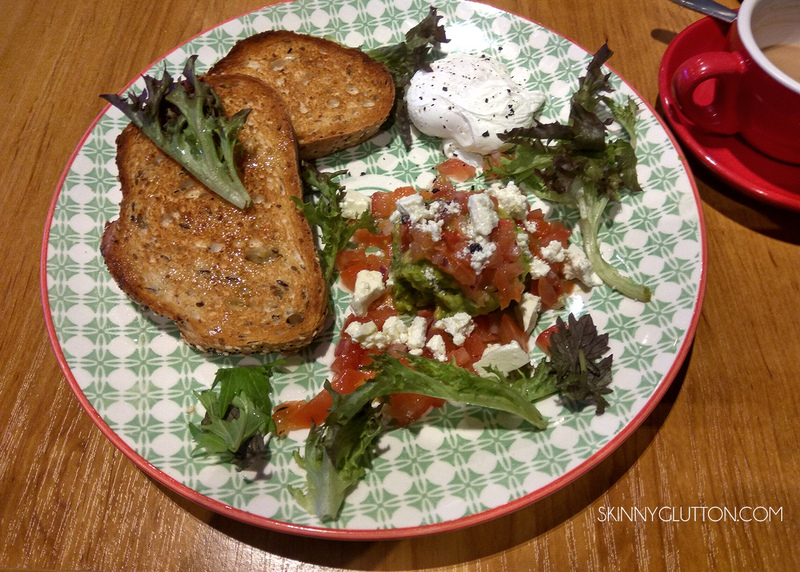 I ordered the avocado tartine, which featured smashed avocado, marinated feta, fresh tomato salsa, olive oil, salad greens, multigrain toast. I added a poached egg on the side because what is the point of breakfast if it doesn’t feature a gooey egg? The flavours were fresh and light and perfectly balanced. My ma went with the “Le Jolie Bacon and Eggs” which was served in a sweet, bouncy brioche bun. 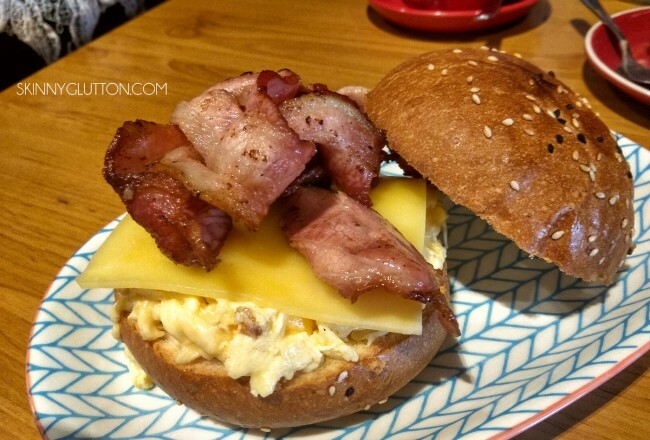 It was brimming with delicious cheese and scrambled eggs and a good go-to when you want a big breakfast served up in a bun. The coffee at Le Jolie is deeply robust and creamy . We each knocked back down 3 cups each which is an unprecedented amount of caffeine so early on a Saturday morning. Le Jolie will be soon offering art classes run by the owner, Guy Trinquet, whose wonderful art adorns the walls of the café. While not a local to the area, I will be sure to return whenever I find myself in Pascoe Vale again. 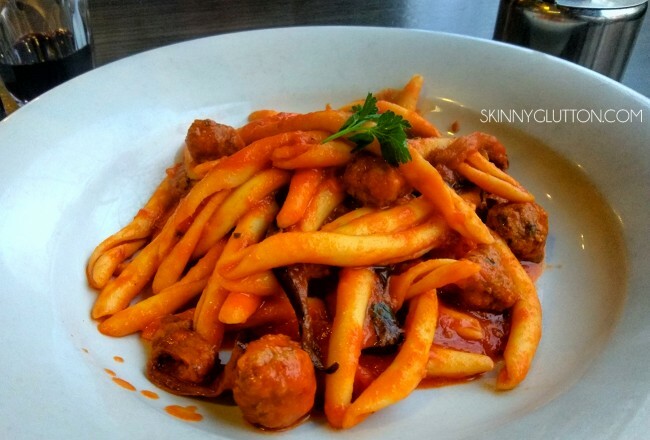 Whenever I am seeking comfort, it is usually discovered in the form of hearty Italian food. With not much open on a public holiday, my wonderful dining partner and I sought sanctuary in pizza and red, red wine at Woodstock Pizzeria on a sunny Monday afternoon. We ordered the ever-so decadent sounding carbonara pizza special and a side of caprese salad to share. And of course, a carafe of red pinot noir to sip in-between gnaws of pizza. Soon after, the carbonara pizza arrived, with an unnecessary (but not at all unwelcome) side of warm bread. The crust was supple, thin and crisp – perfection. The topping was a creamy amalgamation of cheese, large slices of smoky ham and egg. 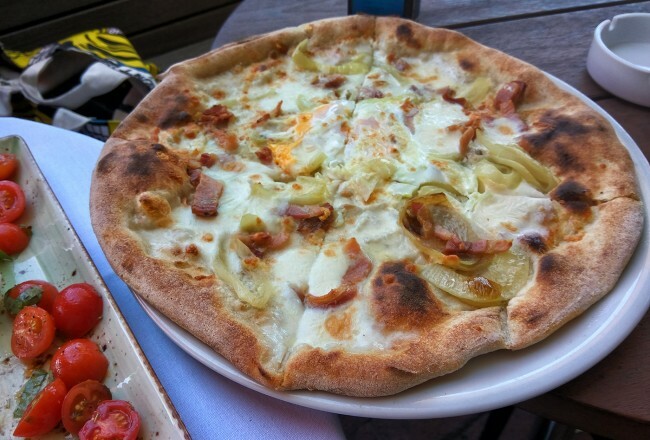 Notwithstanding the rich, creamy appearance, the pizza was wolfed down easily between two. The caprese salad was also delicious. The tomatoes was fresh and robust with sweet acidic flavours. 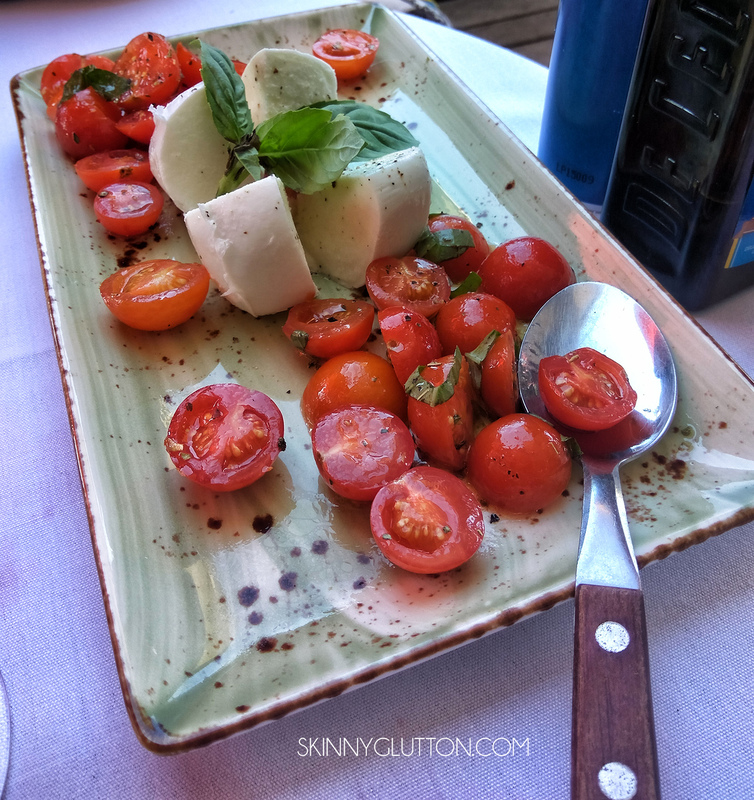 The large segments of bouncy DOC mozzarella harmonised perfectly with the basil and tomatoes. The piquant flavours of the tomatoes perfectly offset the heady creaminess of the pizza. 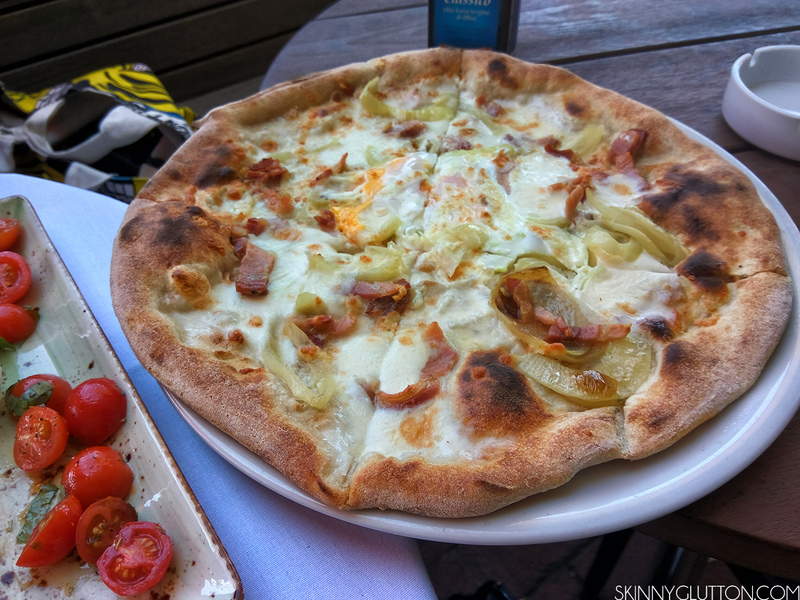 Woodstock Pizzeria is located on Lygon St, on the East Brunswick side of town. Whilst it is located close to the (previously) revered 400 Gradi, the base and quality of the toppings is on par. Service was friendly and well-timed. 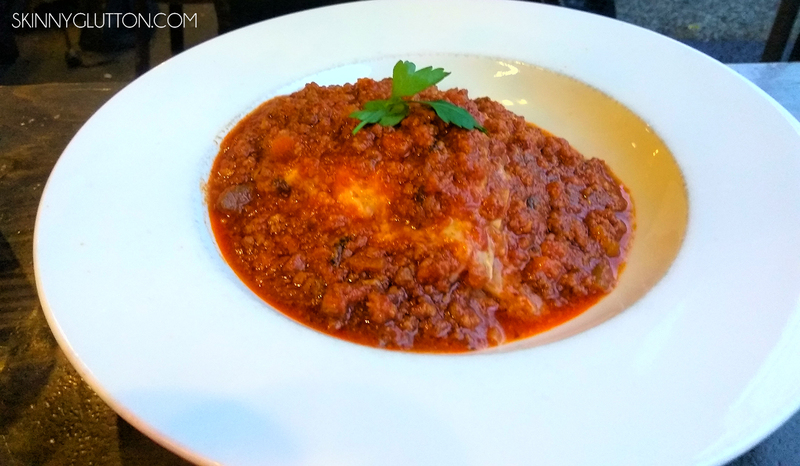 I would certainly return again the next time I crave comforting Italian food. I don’t believe I had ever seen the front of Hakata Gensuke without a line of hungry-eyed patrons eagerly awaiting their turn to slurp one of the best Tonkotsu broths in Melbourne. And so it was fate that I decided it had been long enough between bowls of steaming noodles and I ventured to Hakata Gensuke, completely prepared to line up for as long as it would take, only to find there was no line. The ordering process is via a checkbox card, with 4 types of broths to select from and then any additional trimmings are charged around the $1 to $5 mark. 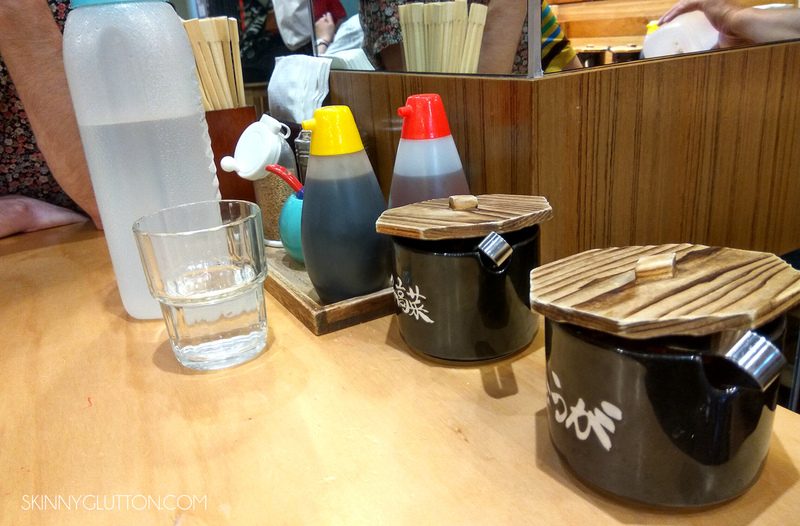 The standard bowl comes with a single slice of delicate chashu, ramen noodles, black fungus and broth. I opted for “normal” taste and “normal” noodle hardness and an extra flavoured egg and a shared side of chicken karrage. Soon after, two hot bowls of steaming ramen arrived with the pungent, wonderful pork-marrow smell wafting. 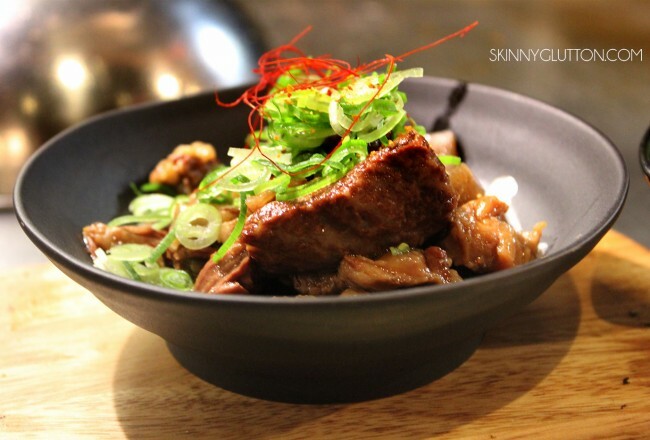 The pork broth had incredible depth and rounded flavour, without being fatty at all. The noodles were perfectly chewy and I my only regret was not ordering a refill. The flavoured egg was the weakest point of the meal because it wasn’t soy flavoured at all. 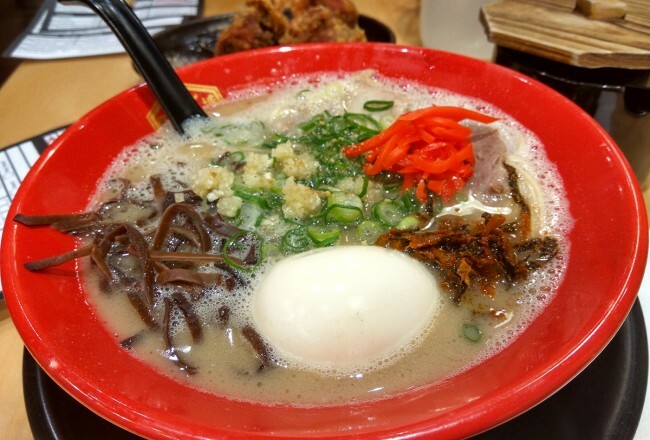 It was just an average, regular soft-boiled egg plonked onto the ramen. Ginger, spicy tobanjan and a pot of garlic were on the table to allow us to enhance the flavour of the ramen. I am a big fan of garlic bombed ramen and added a healthy dose of garlic, ginger and tonbanjan ( a spicy broad bean paste) to my ramen. I revel in plentiful condiments. 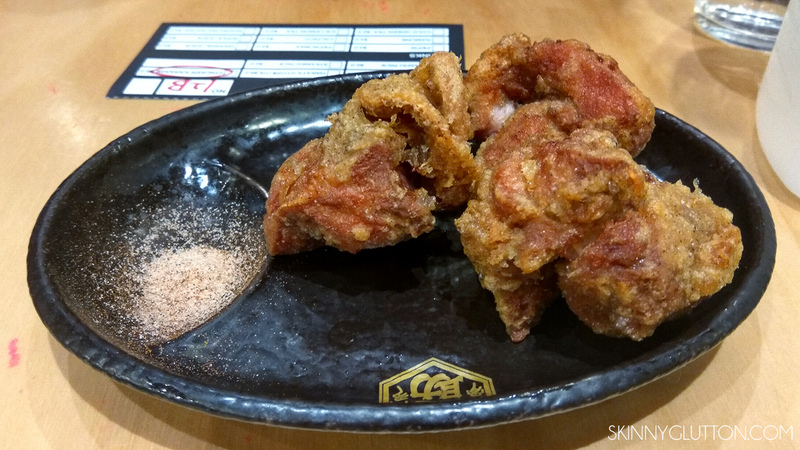 The chicken karrage was pleasantly deep-fried, crisp, and contained flavourful dark meat. 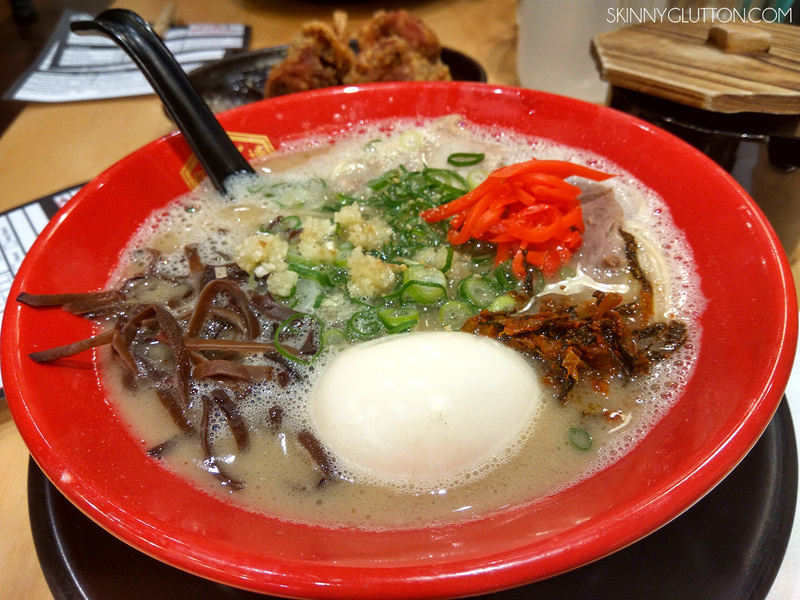 Hakata Gensuke may have the best tonkotsu broth. The broth is reminiscent of the bowls I slurped throughout Tokyo and Kyoto. The noodles are also high quality and held their firmness throughout the slurp-fest, however, paying for each extra topping can become expensive. The milk-white pork bone broth is worth lining up for. 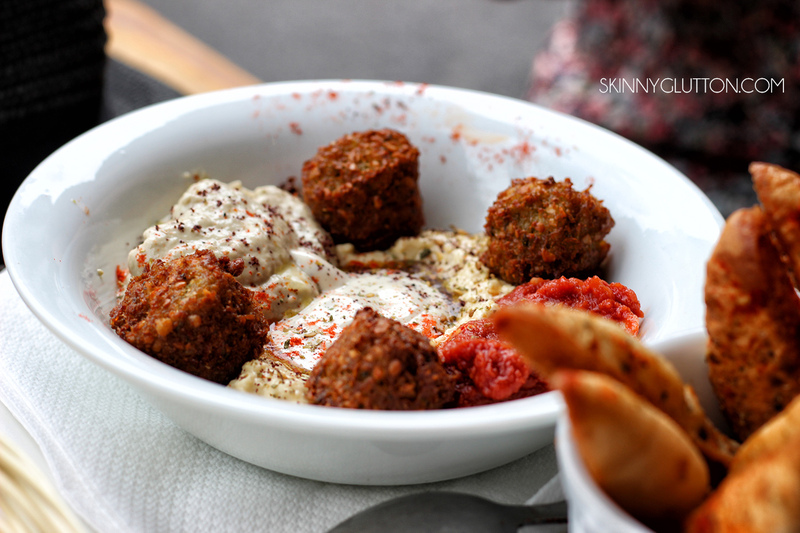 Located on a small street just behind the main Byron Bay beach is Orgasmic, a middle-eastern inspired café who fries up delightful small bites of felafels for hungry beach-goers. They also serve Turkish coffee which smelled fantastic but unfortunately I had reached my caffeine quota for the day. We entered the open-front café and quickly ordered a mixed plate with felafel and pita chips and a whole felafel roll. 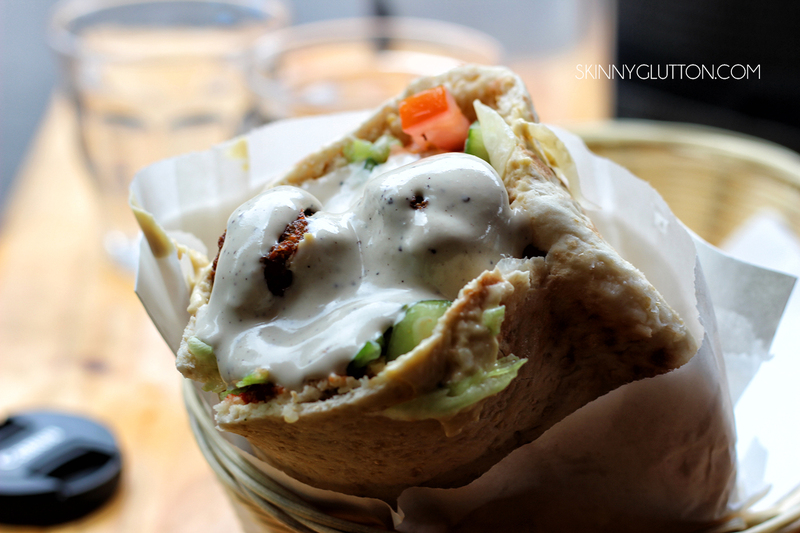 The felafel roll arrived in a soft pocket, oozing out hummus, pickles, salad and felafels and it was a challenge to engulf the whole package into my mouth without smearing the delicious sauces all over my face. This exposure to embarrassment was worth it because the felafels were the crispiest, most flavourful felafels I have ever had the pleasure of eating. The medley of sauces and astringent pickles made every bite packed with flavour. For $13, the felafel roll was on the expensive side of typical rolls but it was so filling that it tied me over for the entire afternoon of walking along the beach. 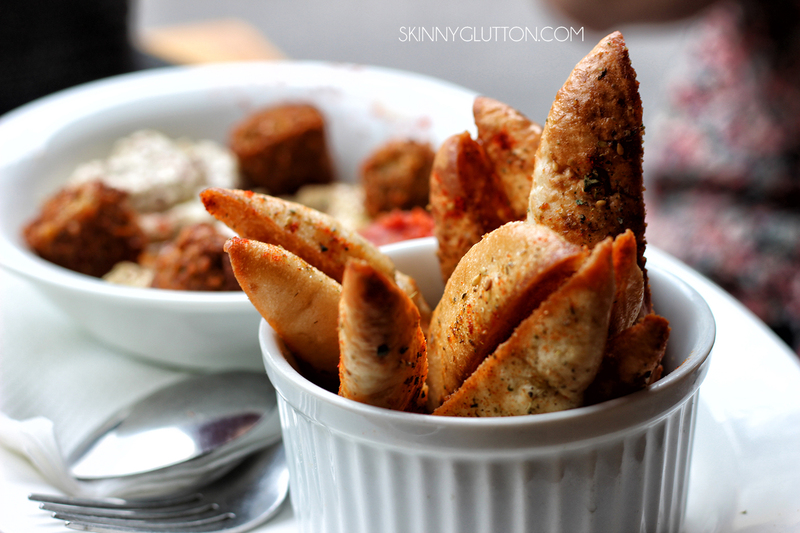 The plate was almost a deconstruction of the felafel roll and included pleasingly, pillowy pita chips. The thick, garlicy hummus was the perfect accompaniment to these decadent chips which we were told were “not healthy but worth it” and I have to agree on both counts. For those wanting a quick, healthy and portable lunch option to take to the beach, Orgasmic delivers on all fronts. 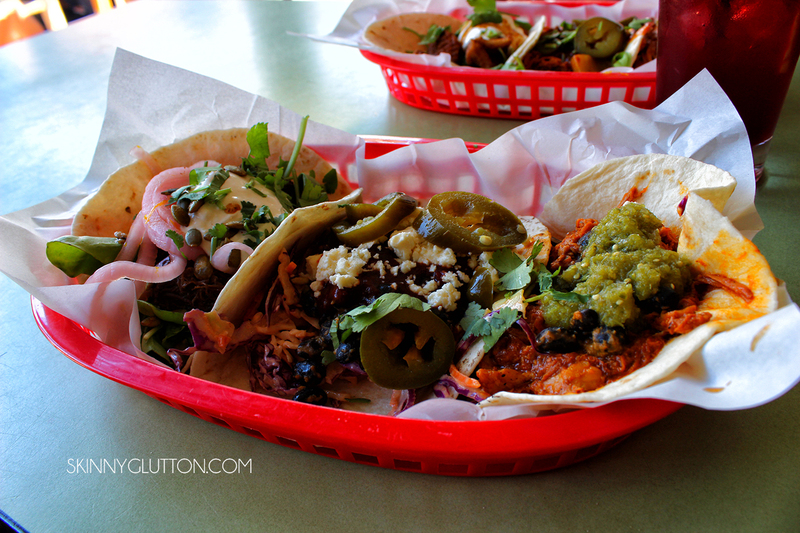 Mexican, in my experience, is a cuisine that can either be executed very well or terribly. There is no in-between. 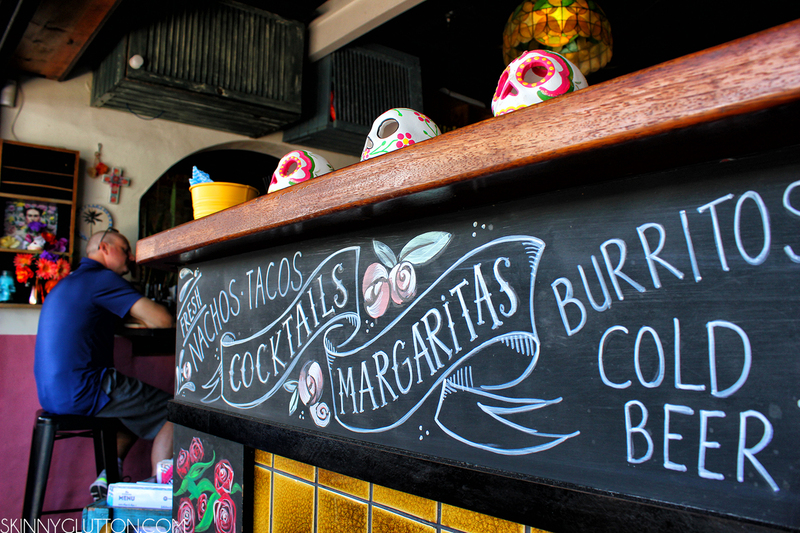 Luckily, Miss Margarita and her tantalising tacos delivers interesting and scrumptious tacos that make for the perfect drinking union. 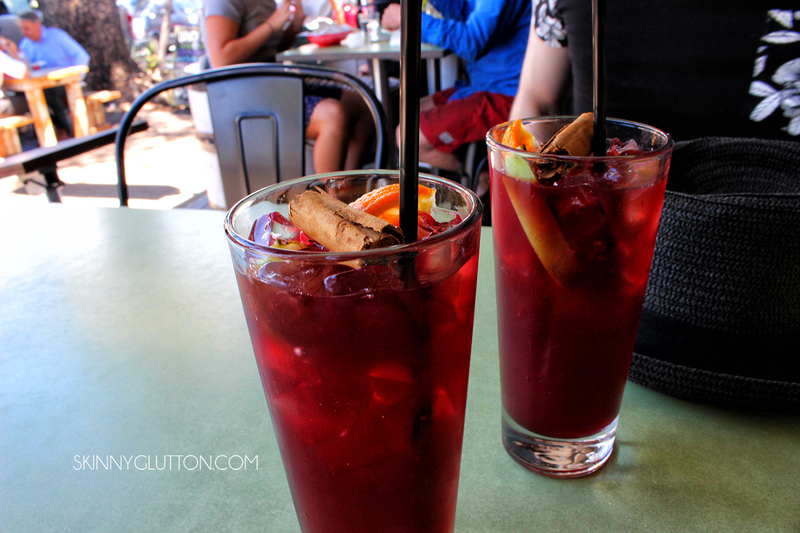 In our case, it was mid-afternoon and sangria’s were being enjoyed while watching locals and tourists. 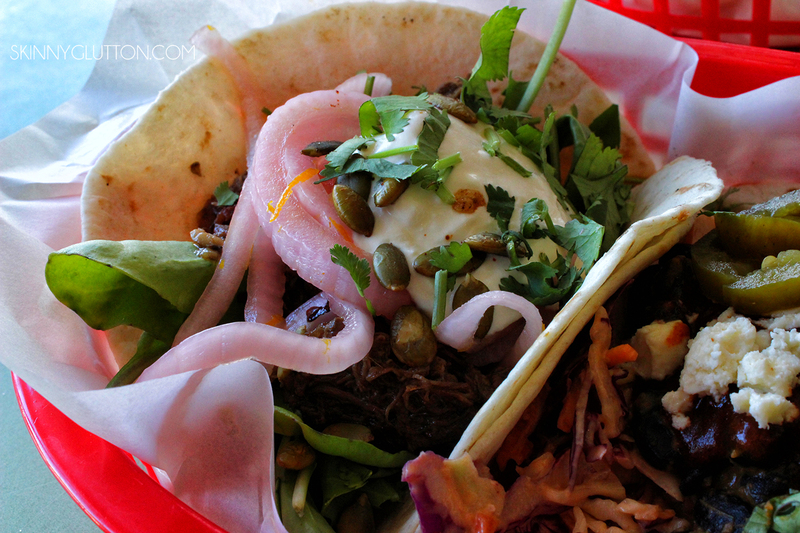 Offering a $15 lunch special for 3 tacos, we opted to try every single type of taco – from pulled beef to squid. 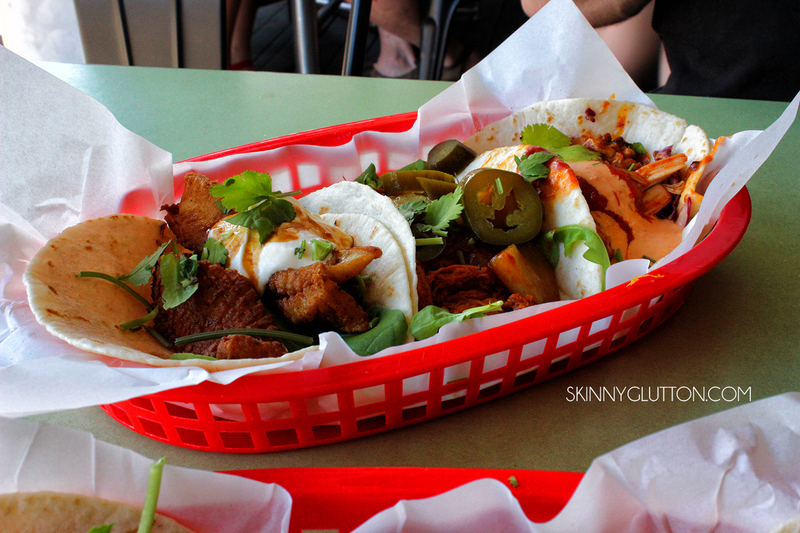 The pork pulled taco had a pineapple relish which resulted in a sweet and messy experience. 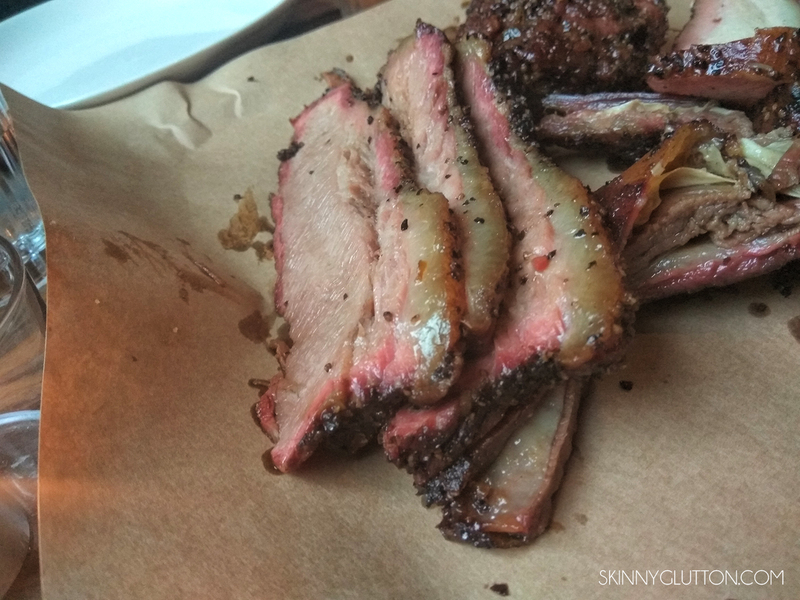 The beef, also pulled, was super juicy and imparted a smokiness. The star of this taco binge was the squid taco which offered a textual difference from the pulled to oblivion meats, which while still delicious were not really discernible from one another. Miss Margarita is rated highly by Byron locals and passing-by tourists. 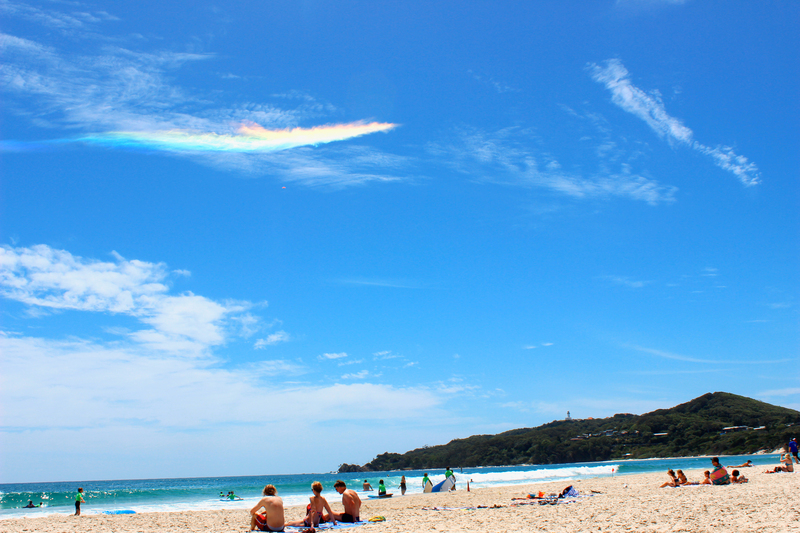 The service is quick and super friendly – actually everyone in Byron seemed so friendly and relaxed. I recommend popping by after a beach visit to re-energise and to take advantage of the wonderful lunch special. Tiamo, Ti amo. 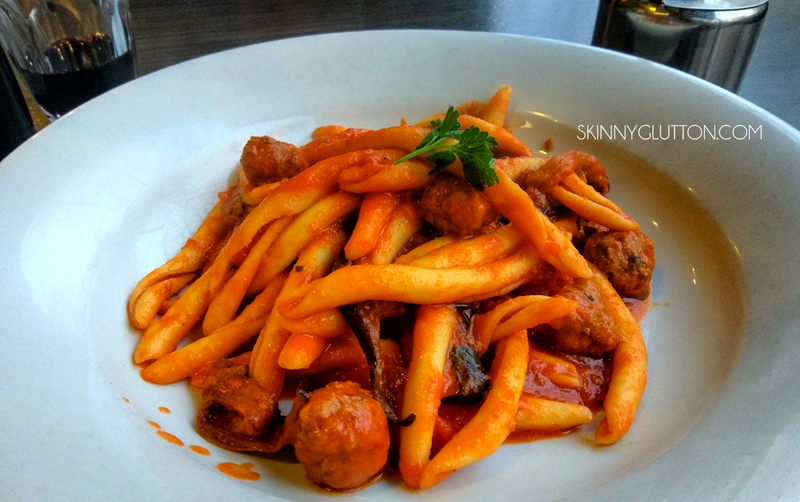 Tiamo is considered an Italian institution on Lygon St, offering respite from the vexatious spruikers and tourist trap restaurants located on the south end. Here you know you are in good hands when the wine is poured into short tumblers and is poured in doses of 500ml. Being one of the few restaurants on Lygon St that lures its patrons back, a pack of hungry table-waiters can usually be found out the front. Thankfully there are two Tiamo branded restaurants side-by-side which offer similar, if not the same, menu options. We immediately scored a seat out the front just before 6pm on a Friday night, so it is worth swinging by early. We ordered a carafe of Cabernet Sauvignon which arrived in the form of a crisp red. Across the way, I was suffering food envy with the mountain of beef sauce proudly sitting atop several delicate layers of creamy béchamel and bolognaise sauce. With addition of copious amounts of parmesan cheese, this was the epitome of comfort food and perfect for a dreary, chilly evening. In front of me, there was a wonderful entanglement of pasta, eggplant and small, garlic-laden meatballs. The Maccheroni della Zia was so flavourful. I am not usually one to order pasta when I eat out because I like to think I am fairly accomplished in pasta-cooking, however, if I was going to order any pasta dish, it would have to be this. The meatballs were so moist and the large cylinders of pasta was perfectly al-dente. Using the crunchy garlic bread to mop up the remnants of Napoli sauce was exactly the Italian experience I yearned for. Tiamo is bustling, and it is bustling for several reasons. The food here is delicious, the service quick and the people watching on this end of Lygon St is unbeatable. Pro-tip; If your wine isn’t being served in tumblers like proper nonna-style, go to Tiamos.